Children's BENADRYL® is the allergy brand most trusted by moms and doctors for symptom relief of children's allergies and allergic reactions. Great tasting bubblegum flavoured Children's BENADRYL® Liquid provides fast, effective symptom relief of your child’s allergies and allergic reactions. 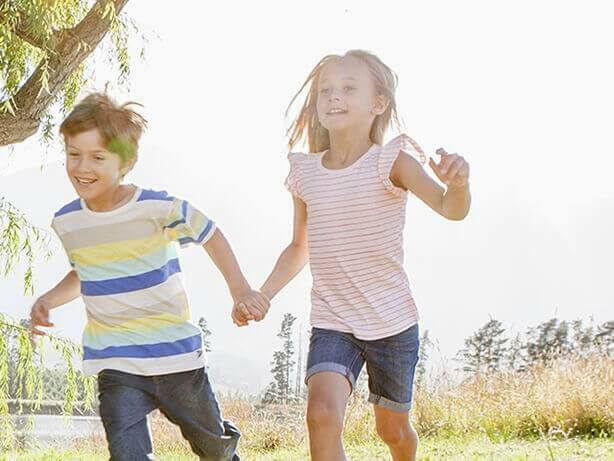 Children's BENADRYL® Liquid does not contain any dyes or alcohol. Children under 2 years of age (under 24 lb or 11 kg): ½ tsp. (2.5 mL) every 4-6 hours. Maximum 2 tsp. (10 mL) per day. Children 2-5 years of age (24-48 lb or 11-22 kg): 1 tsp. (5 mL) every 4-6 hours. Maximum 4 tsp. (20 mL) per day. Children 6 to under 12 years of age (48-95 lb or 22-44 kg): 2-4 tsp. (10-20 mL) every 4-6 hours. Maximum 16 tsp. (80 mL) per day. Store between 15°C and 30°C. Protect from freezing. Security features: band on cap and seal over bottle opening. Child resistant cap oversealed for your child’s protection. *Seek medical attention if you are experiencing a life-threatening anaphylactic reaction, as BENADRYL® is not indicated for such use. May cause marked drowsiness or excitability. Do not use when child is engaged in activities requiring mental alertness. Do not use if your child is taking any other products containing diphenhydramine, even one used on skin, or other antihistamines or sedating or tranquilizing drugs. Talk to a doctor before using this product if your child has chronic lung disease or glaucoma or difficulty in urination. Do not use if child is hypersensitive to diphenhydramine or to any of the formulation excipients. Do not give more than the recommended dosage or use for prolonged periods of time except on the advice of a physician. Do not use to make a young child sleepy. In case of overdose: call a poison control centre or doctor immediately, even if you do not notice any signs or symptoms. Can I use two BENADRYL® products at the same time? For example, the BENADRYL® Cream and BENADRYL® oral product? No, since you will be getting a dose of diphenhydramine from two sources. 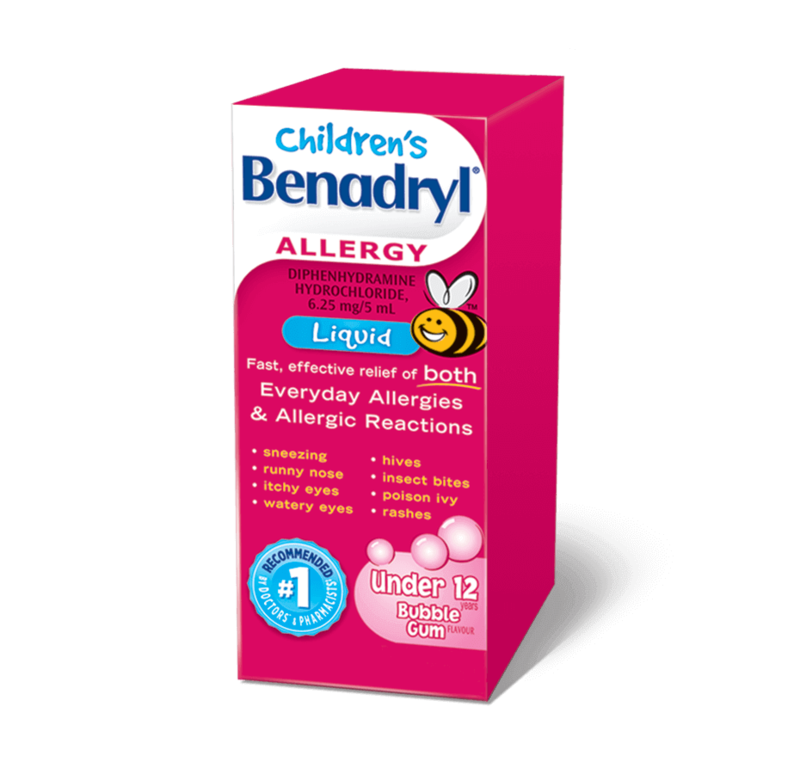 Children's BENADRYL® Liquid works so well at relieving any itchiness or reaction for my children. When my daughter had hives and when she had a bug bite reaction benadryl definitely made it easier for her. It relieved the itchiness and helped bring down the swelling. It also works nice and quick. We will always have some of this in our medicine cabinet. I recommend this product to all parents to have on hand just in case. Plus my children love the bubblegum flavor! I always bring this with us when we camp. Great for wasp stings, fly bites, poison ivy, etc. Works fast. Great Allergy Medication for Children!! This medication is in my granddaughters medication bag and has been for years. She has severe allergies and asthma and this medication helps her breathe and feel like a kid again. I thank Benadryl for this Allergy product and will use it for years to come, because it works!! My son has moderate allergies and this is what we turn to when he has an episode....very quick acting. The best and fastest acting allergy medication for kids with bee stings. Thankfully we haven't needed this product lately...but it's always been a staple in our medicine cupboard. 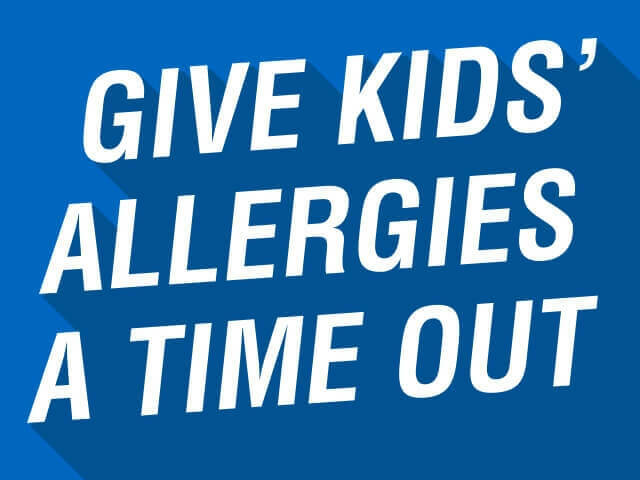 We found it does make the kids a bit tired, but works on the allergy symptoms. Thanks for leaving your review! We're proud to be a staple in your medicine cabinet, and we'd really like to learn more about how our product has been working for your family. Please give us a call at 1-877-223-9807 from 9AM - 5:30PM ET Monday through Friday. Hope to hear from you soon! my kid has hives, and my doctor recommended this to us. works well. My doctor recommended this for my 2 years old son who had some sort of reaction and his one side of the face was all red and swollen after coming back from the indoor playground. This worked wonders and he was back to normal after a day.